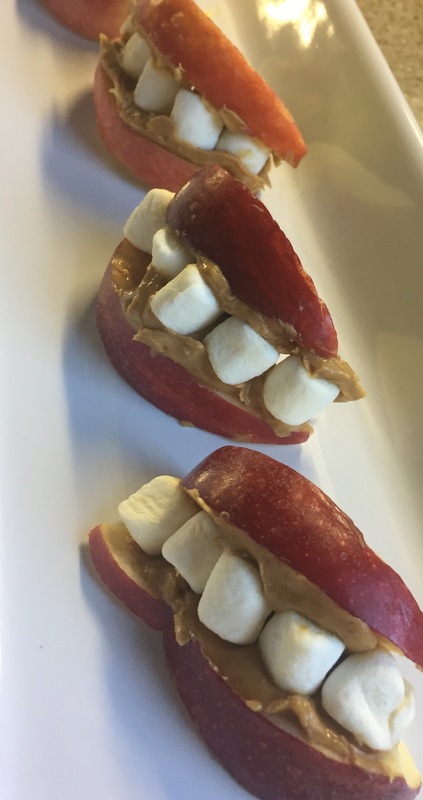 And don’t forget the apple slices with peanut butter and marshmallows! 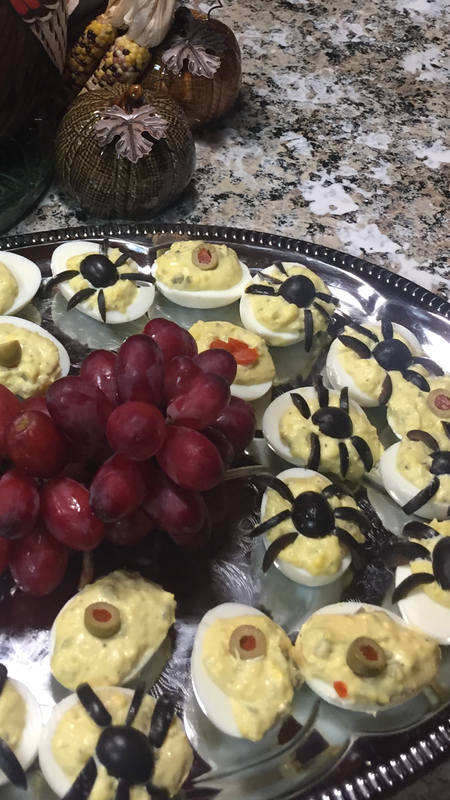 love the spiders on the eggs and the apple teeth — those are so cute. And sound very delicious! Thanks for sharing.